Pay-per-click (PPC) marketing has been around almost since the dawn of the internet age. Its basic premise is that companies or individuals purchase advertisements from search engines. These ads are prominently placed in the list of results when someone searches for certain keywords. The company or individual pays the search engine every time a visitor clicks its advertisement. PPC traditionally targeted internet users in general, but technology has evolved to allow companies to pay for ads that tie into an individual’s known interests and prior searches. Businesses can even target a person based on his or her email or phone number. 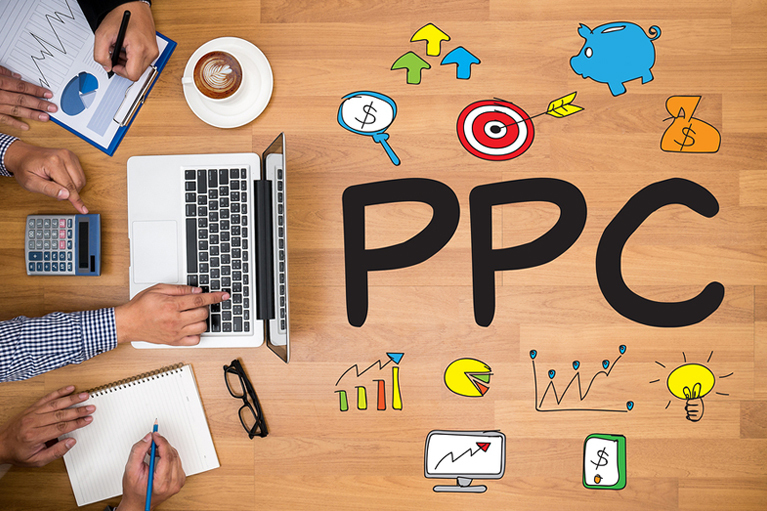 As PPC has become more focused, its results have improved further. Following this trend, identity-based PPC marketing—a recent innovation—will allow for more focused targeting than ever before. Short-term buzz. PPC campaigns are ideal for generating interest in a new product or service. A campaign can start within 48 hours, and adjustments can be made midway through. Sites that have a direct response. Using a PPC campaign to bring traffic to a page that allows customers to make a purchase right away is the perfect application for this tool. Online stores can especially benefit from this practice. Highly-specific keywords. PPC is also useful for businesses in industries that use niche terms. These ads get fewer clicks (so companies pay less for them), but the people that do click are likely to engage with the attached website. Of course, there are pros and cons to PPC campaigns. Most of the benefits are obvious: PPC generates traffic immediately; campaigns can start quickly, and PPC marketing is flexible and can be used for a low cost to great effect. However, there are some serious downsides as well. For example, PPC ads are bought on auction. If companies aren’t careful, they can pay a fortune for a single campaign. Not all PPC ads show up on major search engines, either. Companies thus need to manage their ad distribution if they want an effective campaign. PPC campaigns also lack scalability. No matter how many or how few people click your advertisement, you’ll pay exactly the same amount per click. When used effectively, though, the benefits of PPC marketing far outweigh any drawbacks. It has always been and may always be a staple marketing strategy. Plus, the increased level of targeting has diminished the negative aspects. As campaigns become more effective, they’re better able to target a business’ ideal customers. Businesses understand that better targeted PPC campaigns are cheaper and bring in more truly interested traffic. Research has always focused on how to better target these campaigns. As internet technology advances, the ability of search engines to target specific users based on information gathered on them has grown. The first level of PPC ad targeting was based on what websites people visited. Then, search engines targeted keywords that people used most often that related to the ads. Those evolved to displaying ads based on a person’s supposed interests. Remarketing came about as a way to target people who had already visited a website, giving businesses a second chance to make a sale from someone they already knew was interested. The most recent level of targeting for PPC campaigns is even more focused than any previous iteration. Identity-based PPC can target people, not based just on where they’ve visited or guesses at their interests, but also at a specific user based on his or her identity—right down to knowing an individual by his or her email address or phone number. Imagine being able to surprise someone with a PPC ad for a product he or she is considering. Identity-based PPC allows companies to do that. Targeting individuals at this level provides countless new possibilities for PPC marketing campaigns. Identity-based PPC combines the best aspects of two different digital marketing strategies: PPC and email campaigns. Email campaigns have always been able to reach specific individuals, but they suffer from requiring people to opt in to receive the emails. Users are also likely to unsubscribe. Previously, PPC campaigns were unable to target individuals, so companies were never sure who would respond to their ads or how. With identity-based PPC campaigns, companies can target an individual as specifically as email marketing. Instead of only sending a limited number of emails and risking the recipient unsubscribing, the individual sees ads tailored to his or her specific interests. There’s no possibility of unsubscribing from ads, and eventually the person will see something he or she likes enough to click on. Identity-based PPC also has one surprising use. It can jumpstart viral content campaigns. Generally speaking, companies can’t pay to make content go viral. However, with identity-based PPC, businesses can pay for specific individuals who they know are extremely interested in a subject and have a good amount of influence to receive their advertisements. Those influencers may share it with their audience. Putting content directly in front of people you know are likely to spread the information can cause a viral marketing campaign to begin almost spontaneously. One difficulty facing identity-based PPC campaigns is people logging into the internet from multiple different devices. This can make an individual hard to track, even with the new techniques identity-based PPC uses. Digital companies are working on ways to overcome this challenge. Facebook can effectively track individuals across multiple devices, for example, and offers companies PPC targeting options such as Custom Targeting and Lookalike Targeting. Identity-based PPC is being hailed as “the most important trend happening in PPC today.” As the evolution of targeted digital marketing, identity-based PPC offers companies unprecedented opportunities to put products and services in front of people who want them. This results not only in more business for companies but easier access to goods and services for individuals. Pay-per-click has become one of the most sought after way of earning money online. I will grab every opportunity that pay-per-click will give me. For companies out there, this is a great venue to boost your sales.